Cindy is the Chief Operating Officer of Superior HealthPlan, Inc., an affiliate of Centene Corporation (www.centene.com), a leading multi-line healthcare enterprise that provides programs and related services to individuals receiving benefits under Medicaid. Cindy's professional experience includes 33 years working with government-funded programs in both the public and private sectors, with an emphasis on long-term care delivery in a community-based setting. She earned her BS in Social Work from the University of North Texas. She currently serves on the Board for the Texas Silver Haired Legislature Foundation, and was appointed by the HHSC Executive Commissioner to the Promoting Independence Advisory Committee. Cinema Touching Disability is pleased to have Cindy as a Short Film Competition judge for the second year. From 1964-1974, Dr. Becker served as Chairman of the English Department at St. Stephen’s Episcopal School in Austin, where he founded and directed the Texas Student Film Festival. Dr. Becker also taught "Introduction to the Film," the largest senior elective offered at the school. Then in 1983, he directed and produced the international, award-winning documentary film With Eyes Wide Open about autistic savant artist Richard Wawro of Edinburgh, Scotland. For the past thirty-six years he has worked with and written about some of the world’s most prolific autistic savant artists. A longtime supporter of Cinema Touching Disability, Dr. Becker has served as a Short Film Competition judge since 2007. Since his childhood, Eric Clow has been passionate about film. He started making short documentaries in high school. His award-winning short film, It’s Just Us: Taking a Stand While Sitting Down, focused on the struggles of the disability rights movement. In 2011, Eric graduated from the University of California at Berkeley with a B.A. in Geography, but he also received extensive training in film production, film editing, screenwriting, and radio programming. Eric’s passions still reside in the arts, and he spends his time writing, making music, and constantly seeking new films to enjoy. He currently works at VSA Texas. Cinema Touching Disability is pleased to welcome Eric back for his second year of judging the Short Film Competition. Lynn Johnson is in charge of Community Relations and Outreach Services at VSA Texas, a group devoted to promoting the creative power in people with disabilities. She co-founded Disability from Real to Reel, a film festival of local and international film by and about people with disabilities. After receiving a Bachelor of Fine Arts in Theater, she pursued different careers in the motion picture industry as a film editor and professional theater as props designer, back stage manager, house manager and volunteers for various equity theaters in Austin. Cinema Touching Disability is pleased to have Lynn as a Short Film Competition judge for the second year. 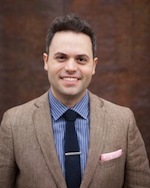 Matthew Perkins is a filmmaker based in New York City. In 2012, he ran a successful Kickstarter campaign to raise the budget for his first feature, The Little Tin Man, which he co-wrote, directed, and produced. The film was beloved by audiences and critics and had an award-winning run on the 2013-14 film festival circuit (including Seattle, Sidewalk, Austin, Napa Valley). It will be distributed by Gravitas Ventures in Fall 2014. Matthew’s short films (Magic Juan, Life in Short) were also widely praised. The Little Tin Man screened at Cinema Touching Disability Saturday, October 18. 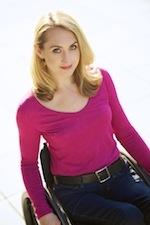 Teal Sherer is an actress, producer and advocate for the inclusion of performers with disabilities in the entertainment industry. She is best known for creating and starring in the award-winning online comedy series My Gimpy Life, which is loosely based on her experiences as an actress with a disability in Hollywood. My Gimpy Life screened at Cinema Touching Disability Saturday, October 18. Sandy Wood has been a working writer/ producer and voice talent for over three decades. Her work has been featured in radio, television, print, and static museum exhibits. 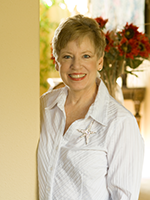 Since 1991, Sandy has been the voice of Star Date Radio, a production of the University of Texas McDonald Observatory, heard nationwide on approximately 350 commercial and NPR stations. Additionally, she is a writer/ producer of audio flash fiction and was selected as a finalist in 2009 by the Artist Foundation of San Antonio. Sandy was chosen by National Geographic publications to write the forward for their publication, Backyard Guide to the Night Sky, and was featured in a New York Times article on October 30, 2011. Cinema Touching Disability is pleased to welcome Sandy back for her second year of judging the Short Film Competition.